Recently the IKIGUIDE team came across this very interesting ICO project by Pure Diamond Farm (Read the whitepaper here). This is an ICO project about lab-grown diamonds. Based in Singapore, Pure Diamond Farm has recently reached an agreement with Pure Diamond Lab Japan to manufacture and conduct research on lab-grown diamonds. The project is interesting because the global demand for consumer diamond is huge. In 2017, the consumer demand for diamond jewellery worldwide hit an unprecedented all time high of US$82 billion, showcasing a 2% year-on-year increase. Japan is the world’s third largest market for diamond after USA and China, with a diamond market size of more than US$6 billion in 2016 alone. In spite of the global massive popularity of diamonds, there is still a huge problem in the diamond industry. That is, how do you know if a diamond is of high quality? 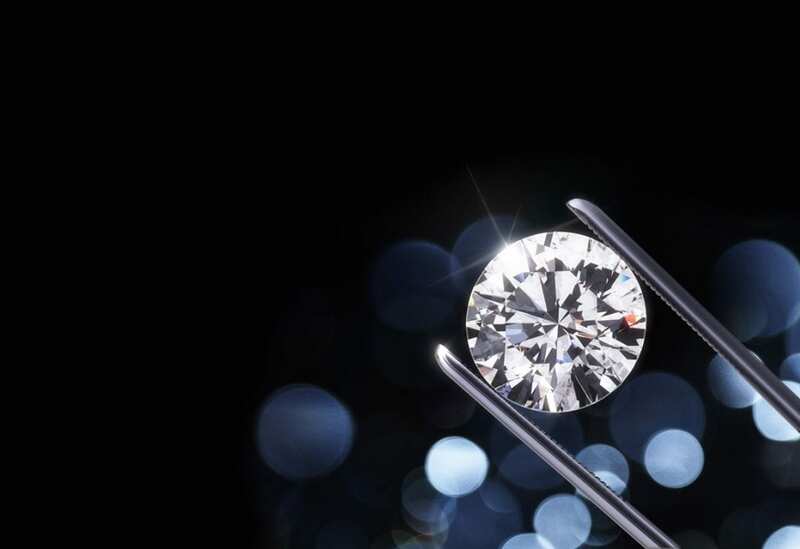 According to Diamonds.net, the undisclosed mixing of synthetic diamonds is a huge concern to the industry and there is no good method to discover exactly what goes into each synthetic diamond. In addition, there is an issue of “blood diamonds”: the selling of diamonds by rebels to fund military activities in war-zones. How can one be so sure that the diamond on your finger is not at the expense of the lives of millions of war victims? A lab-grown diamond produced by Pure Diamond has the same substance as a natural diamond mined from the ground. The only difference is the production environment– a lab-grown diamond is created in the lab, whereas a mined diamond is created from nature. Here, it is essential for us to make a distinction amongst lab-grown diamonds and synthetic diamonds. A synthetic diamond by definition is the chemical result of the mixing of two or more compounds. In contrast, a lab-grown diamond by Pure Diamond is made purely out of carbon and therefore cannot be called a synthetic diamond. Are lab-grown diamonds in any way inferior to mined diamonds? The answer is no, and they should also not be regarded as “fake” or “artificial” diamonds. Pure Diamond lab-grown diamonds are subjected to high quality control and therefore on par with the professional standards applied to mined diamonds. As we put the lab-grown diamond on blockchain, we would be able to solve the supply chain problem of diamonds. Each lab-grown diamond by Pure Diamond Farm can be traced and publicly verified on the blockchain in a transparent and immutable manner. This solves the problem of “blood diamonds”, as the consumer can now be very sure where the diamond comes from. Because lab-grown diamonds are now placed on blockchain, Pure Diamond Farm is also doing an initial coin offering (ICO). The coin is named “Pure Diamond Coin” (PDC). Because of blockchain technology, each diamond can now be tracked and traced in a transparent manner. Each lab-grown diamond will have a unique supply trail recorded publicly on the blockchain, which completely eliminates the risk of buying an imitation or synthetic diamond. Eventually as the popularity of PDC grows, it is the intention of the company for PDC to be used as a mode of payment in the real world as a utility token. This means that the company will work at mass adoption of the coin– to empower consumers to use PDC for purchasing and dining purposes as well. This aids the velocity of circulation of PDC and bodes well for its medium to long-term value. Last but not least, every PDC released is “backed” by a lab-grown diamond, since the intention of releasing PDC is to allow consumers to verify the supply trail of diamonds. This ensures the intrinsic value of PDC–which is important given the volatile nature of crypto-assets in terms of pricing. Pure Diamond Coin’s Pre-Sale is Opening Soon! Intrigued by the project yet? Well, the Pure Diamond Coin’s Pre-Sale is opening soon! Please refer to their website for more details. Diamonds hold great significance to women especially, and we are looking forward to the revolution of the industry via blockchain technology!